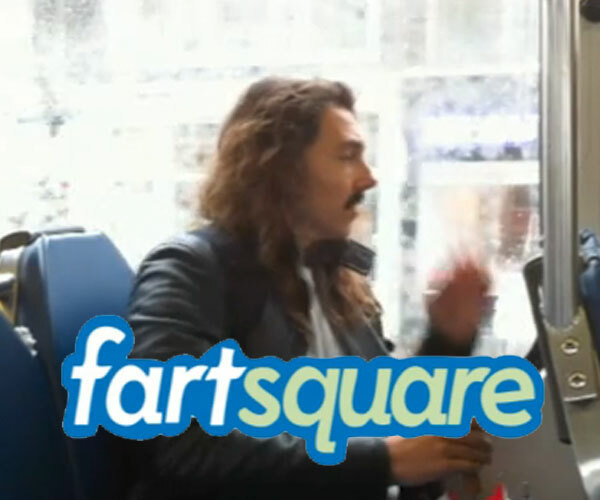 Fartsquare from Fartsquare on Vimeo. Because we all over share! Keep your friends and followers constantly updated by sharing that you farted, how smelly/loud/wet it was and where it was. Check the map to see where your friends passed through and passed gas, sharing it all is the next frontier in social networking. In a world, endulged in network culture, the modern narcist is able to share each and every step he takes, literally.